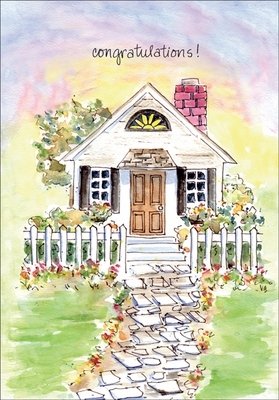 Congratulations are in order after the purchase of a new home. This card reminds them of happy memories, where friends meet, and where love grows. 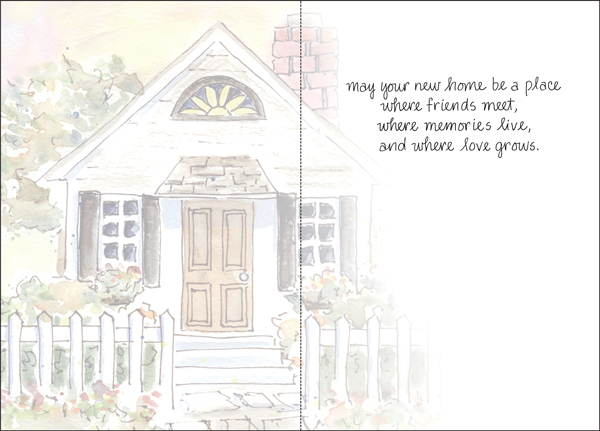 Inside: may your new home be a place where friends meet, where memories live, and where love grows.